MS Word document is used for presenting textual data whereas MS Excel files are used to present tabular data. But sometimes you need both type of data in one document. What to do in that situation? If the biggest part of the document is based on textual data, you can choose Microsoft Word and insert Excel table into Word. The first step is to open both programs, Microsoft Excel and Microsoft Word. If you already have specific documents, just open them. If you are just about to start preparing a document, open both Excel and Word. Highlight the table by selecting it with the left-mouse click. If you work with already existing Excel table and you don’t want to include the content from the whole table in Word, just select the part you need. The next step is to right click on the mouse and choose Copy option. 3. In order to paste the tabular data from Excel to Word, you need to create a table in Word with the same number of rows and columns. 4. 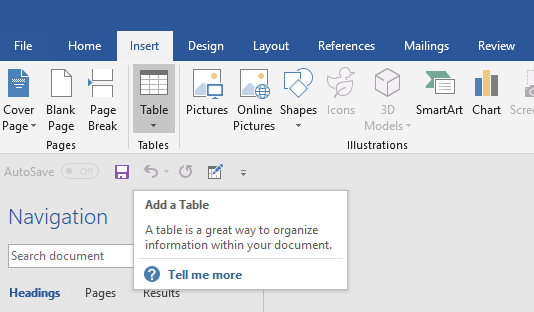 In Word document, click on the area where you want to insert a table and from the Insert menu, click on Insert Table option. 5. Insert corresponding number of rows and columns in the right fields and click OK.
6. Now, what is left to do is to paste the Excel table. Right click on the Home, left side in Word, and click on the arrow which is under the Paste option. 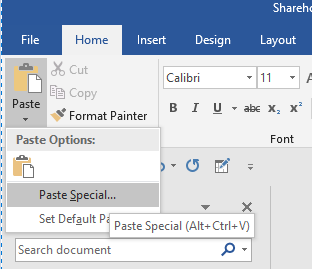 Select Paste Special option to insert Excel table into Word. The table will be on the very same place where you created the Word table. 7. But, in order to have an original look of Excel table in your Word document, you need to paste table as Unformatted Unicode Text. 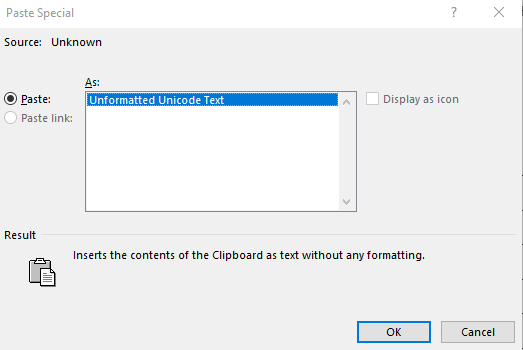 So, from the various Paste Special options that Word offers, choose that one and press OK.
Have in mind that unless you paste a table as unformatted unicode text, it won’t look the same as in Excel. This tip can be very useful, especially when you work with longer documents. It would be too boring and hard to read long text without any additional objects and explanations. Tables are similar to images, they can explain a lot, and people are visual beings. So next time you need to write about finances, statistics or numbers in general, try to insert Excel table into Word. You will see how your document would be easier to follow and understand.